SkinStudio is a skin editor for WindowBlinds that allows users to create visual styles for Windows 7, Vista and XP. 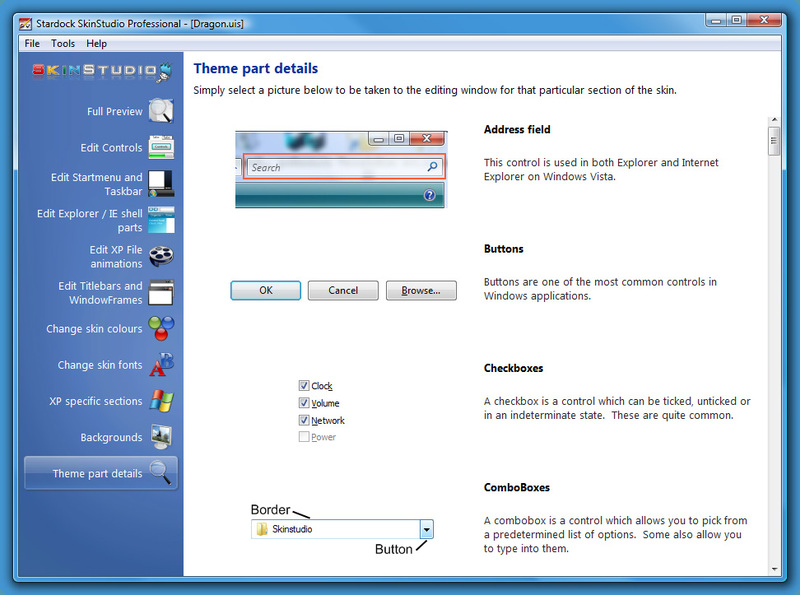 These visual styles are applied by the popular GUI skinning program, WindowBlinds. A fully complete visual style will change the title bars, borders, push buttons, scrollbars, Start bar, Start menu, and virtually every other part of the Windows GUI. SkinStudio is a skin editor for WindowBlinds 5 and 6. ...... fill in the rest for them. A new skin can take a matter of minutes or weeks depending on how sophisticated the skin is. * Support for glass menu bars on Windows Vista. * Support for a different mouseover image on the right hand side of the Start Menu. * Control over the background color of the Start Menu "Programs" list. * Control over the search box text colour & font. * Improved control over the Start Menu colours & fonts. * New section to allow a custom mouseover image used on the "Programs" link on Vista versus the legacy solid color. * Start button overlay now supports animation. * Support for animated "Please Wait"
Qweas is providing links to SkinStudio Pro 7 2012 as a courtesy, and makes no representations regarding SkinStudio or any other applications or any information related thereto. Any questions, complaints or claims regarding this application SkinStudio Pro 7 2012 must be directed to the appropriate software vendor. You may click the publisher link of SkinStudio on the top of this page to get more details about the vendor.